Amazing conditions. Amazing! 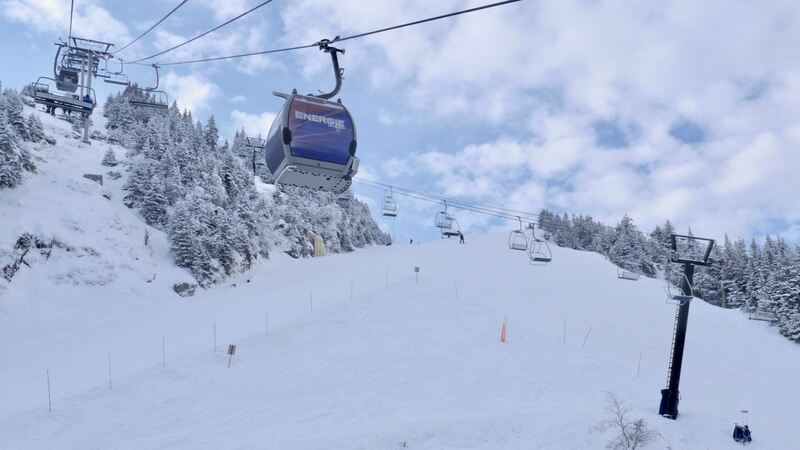 What I love about Saint-Sauveur is that even when the only lift open is the Atomic, you still have access to almost a dozen trails, and they are all fun and enjoyable. The core section of the mountain has a good variety. When you stop and think, Edelweiss feels like the size of just Saint-Sauveur's Atomic Express section. Glad to see you got out. Enjoy it while it lasts. Atomic is closing in less than two weeks now. Which will mean from that point on, it will most likely be only 70 Ouest, Nordique and Silver Park. Really impressive the snowpack at this time of year. Winter keeps holding on, and we see quite a few mountains willing to push it yet another week or two. Good for them. And why not, some years it ends just a little too quickly, why not stretch it when we can! Here's to another weekend or two in the region. That's big news. Sad it won't operate as a public ski mountain anymore. The quote from the new ownership representative: Will keep it almost as is so that locals and visitors can stay there and still enjoy the property and view? Any idea what this means? Public can do alpine touring or hike the mountain? Or it will be private property but left mostly as is? Very vague... Hopefully more information comes out in the near future. Thanks for sharing Gordo. Good eyes! Mont Chilly is definitely having a better than average season this year. Great to see. Really a unique place to visit, only limited by natural snow fall, which is in abundance this year. For those in the region, you definitely owe it to yourself to check it out before it closes for the season. It's something different and unique indeed.